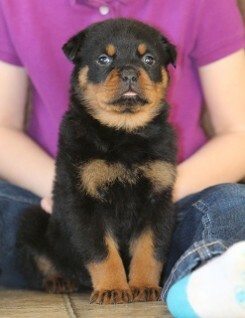 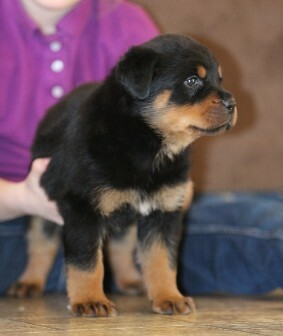 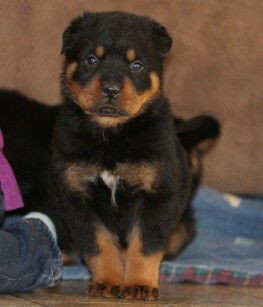 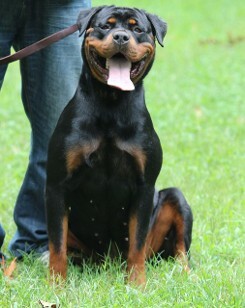 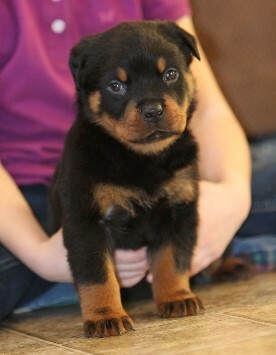 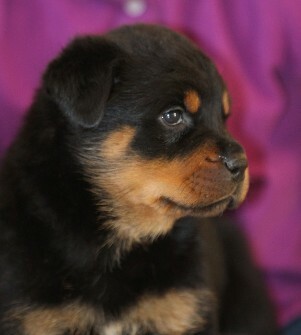 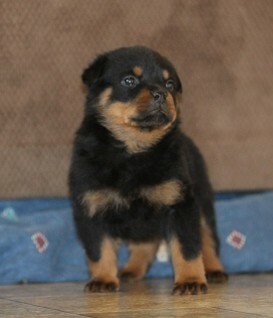 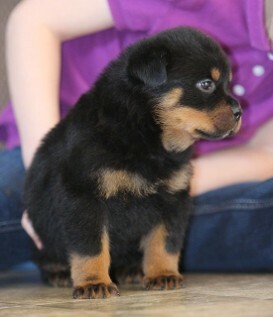 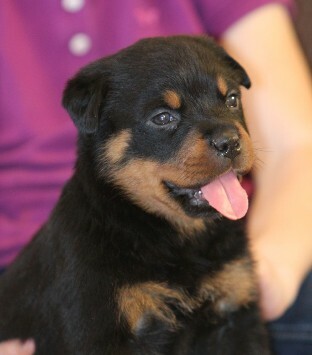 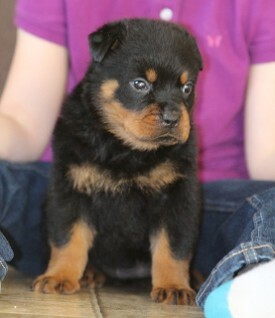 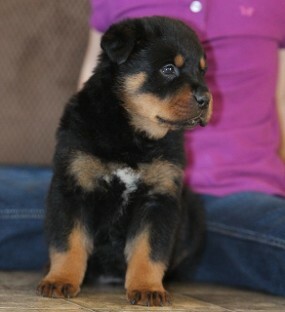 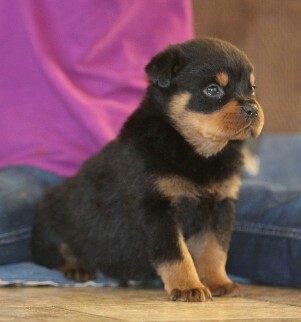 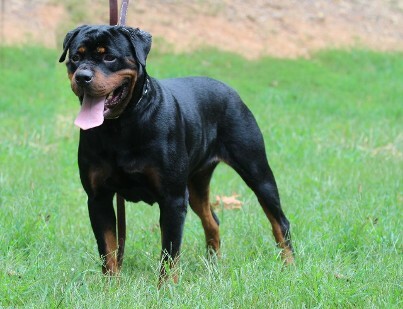 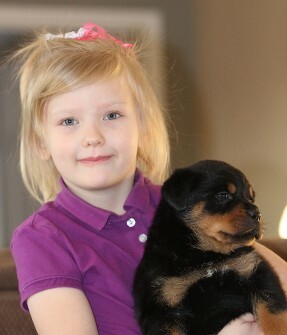 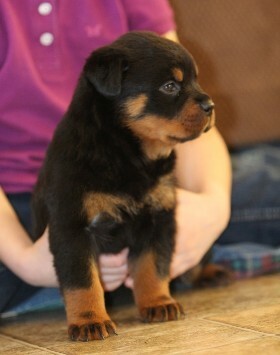 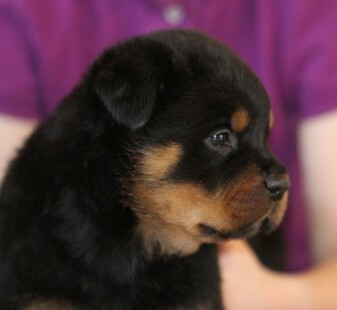 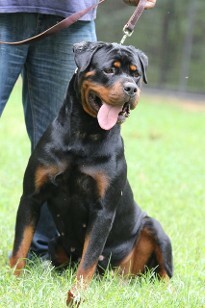 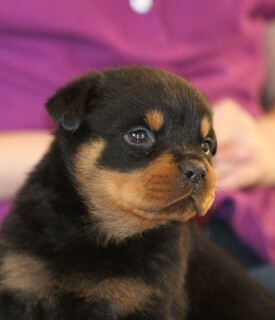 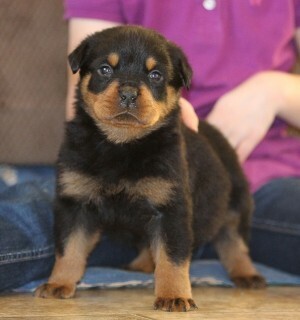 If a breeders tells you otherwise they are liars or don't know the real history of the Rottweiler! 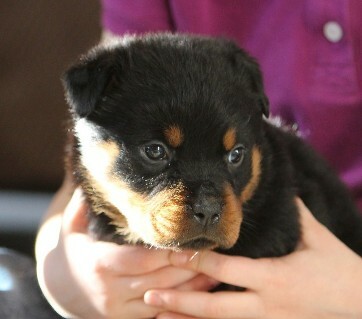 The white spot on this puppy is no longer there. 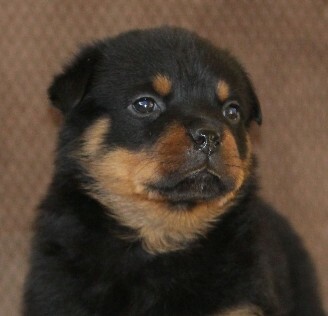 The puppy fur blew out.